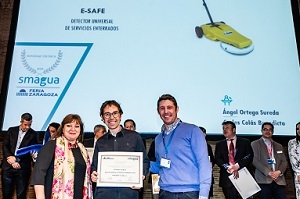 The winners in the Technical Innovations Competition have been announced for the SMAGUA 2019 event that took place in Zaragosa, SPAIN from 5-7 February and e-Safe has been recognised with a Silver award for Technical Innovation by the evaluating Jury. The purpose of the Technical Innovations Competition is to acknowledge products developed by companies in the industry that invest in R+D+I, selecting products that stand out in terms for their contribution to technology, innovation and results in terms of meeting market needs. The competition’s independent jury is formed by exceptional industry professionals and the “Technological Innovation” or “Outstanding Technological Innovation” award is, without doubt, an acknowledgement of exemplary work. The Awards Ceremony for the winners of the “Technical Innovation” and “Outstanding Technical Innovation” awards categories will take place at Zaragoza Exhibition Centre (Feria de Zaragoza) at A-2 Km 311 – 50012 Zaragoza. 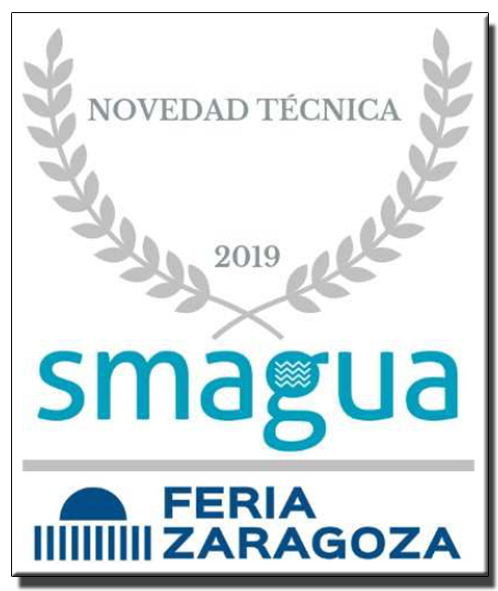 The ceremony was held on the second day of the SMAGUA show with representatives of Zaragoza Exhibition Centre, all of the Jury members, civil authorities, institutional authorities, academics and industry media present at the ceremony. 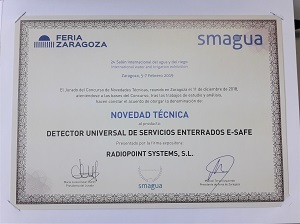 PipeHawk would like to thank our Product Reseller in Spain for submitting e-Safe for this prestigious award. As a major opportunity on the International events calendar, to see the latest in Utilities related innovations. PipeHawk Plc have chosen Utility Week Live as the launch venue for the latest addition to their e-Safe range of All Service Avoidance Tools. Since its first appearance at the 2013 No-Dig Down Under show in Sydney, Australia. The e-Safe All Service Avoidance Tool has become a staple part of the safe digging process at many Water & Power companies, construction contractors and utility workers around the world, due to its uncomplicated design, easy operator interface and cost effective price point. Since then PipeHawk have continued to enhance the versatility of the e-Safe system adding new features and accessories, some of which having been inspired by feedback from existing Users. Now for 2017 there is a new variant on its way and although full details are being kept secret right up until Launch day (even the name is yet to be released). We do know it is set to be the flagship of the e-Safe range and will introduce a swathe of new features to the e-Safe line-up. These will include: Up to five times more detail on the display than previously available and 3 different deployment methods “Baseline”, “Syncline” and “Switchback”. The innovative Chronos Masking feature has also received an update and is now enabled with a more intuitive 4 stage, surface down process and to the Depth Estimation feature is added something called “TrackBack”? With only a few weeks to go until the opening of Utility Week Live and the launch of this latest addition to the e-Safe range. we cannot wait to see the buzz this product is sure to create around the PipeHawk stand at G46 right in the centre of the Streetworks village at Utility Week Live 23-24 May NEC Birmingham. 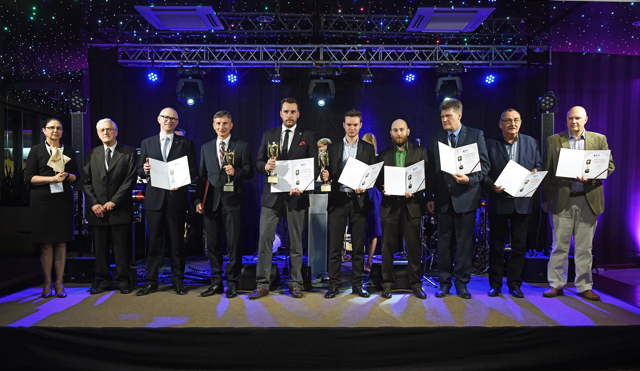 We are pleased to announce that the Polish Foundation for Trenchless Technology (PfTT) have graciously awarded PipeHawk one of their rare “Certificate of Distinction” awards for our e-Safe All Service Avoidance Tool at the 7th International Trenchless Technology conference (No-Dig Poland 2016) which was recently held in Kielce, Poland. At this event: Experts in the field of trenchless are recognised for their outstanding contribution to the industry by an International Judging panel, this time headed by Prof. Kuliczkowski Andrzej – Kielce University of Technology, professor, chairman of the PFTT Board and chairman of the conference.